Kids can engineer working circuits on paper! This is an amazing technology that allows kids to design and engineer working circuits on paper. They will use LED lights, disc batteries, and copper tape to learn how switches and different kinds of circuits work. 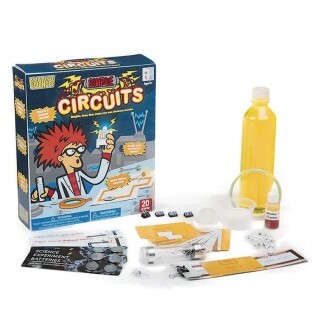 Kids will build their own night-light and the brand new Mini Energy Stick is included to demonstrate a human circuit.